Apple launched its new OS Mac Sierra this June. This is an upgrade to its old OS MacOS EL Capitan. Registered developers can download it to check for any abnormality. You can also create a bootable USB with the help of Mac PC along with some third party tool. You can also make a bootable USB of MacOS Sierra with your Windows PC with TransMac. Windows PC running Win 10/8/7. Note: TransMac is paid software but it is available free for 15 Days on a trial basis. 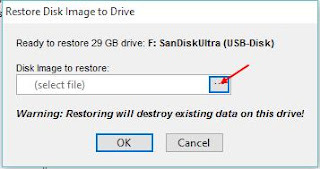 Note: remember to copy all your data from USB drive to a safe place because all your data will be erased from the drive. 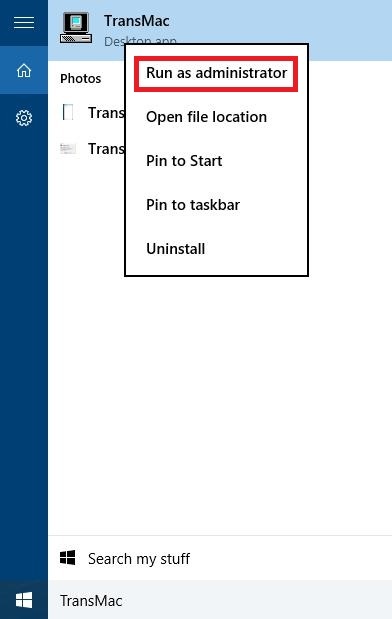 For that go to search bar and type TransMac, now right click on TransMac and select run as administrator from your windows PC. 4. After that, a pop-up windows will come, select run there to continue the trial. 5. 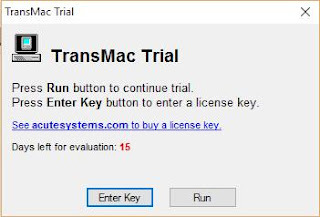 Now TransMac is ready to use. Select USB drive from the left tab of software. 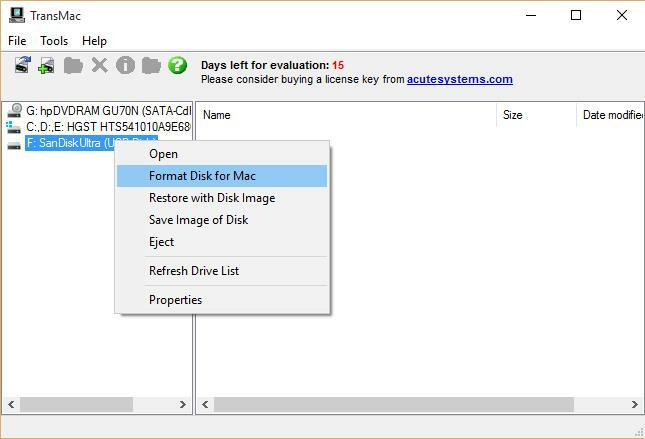 Now right click on the drive and select Format Disk for Mac. 6. 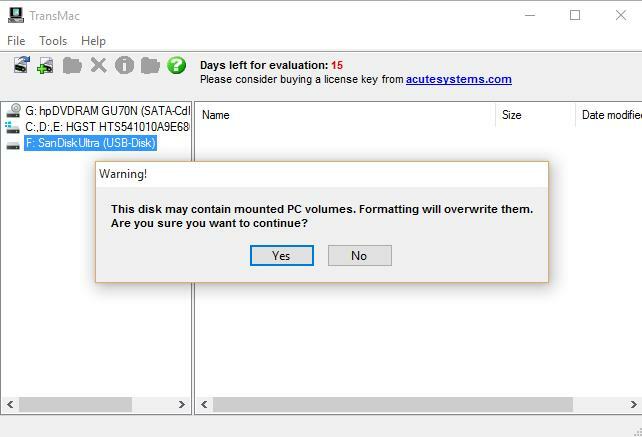 Again a pop-up will appear that “this disk may contain mounted PC volumes. Formatting will overwrite them. Are you sure you want to continue.” Click Yes. 7. 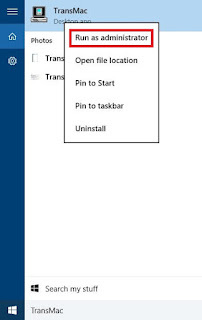 You got this message because you have been using this USB drive on Windows PC. 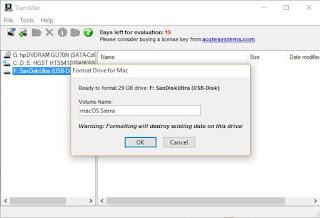 Your USB drive is using MBR partition type. Now for MacOS, it requires to partition the disk with GPT type and then it will transfer DMG file to drive. 8. Now rename the volume and press ok.
9. After that, it will ask again to overwrite the drive, press Yes. It will take some time to finish formatting of Drive. Wait until it finishes. 10. After completion it will give message ‘Format complete’, click on OK.
12. “This disk may contain mounted PC volumes. Restoring will overwrite them. Are you sure you want to continue.” The message will come and click on Yes. 13.Again a message will pop-up “Restore disk image to drive”. 14. Now click on (…) and browse for Sierra DMG file. 15. After selection, click on OK.
16. Further, it will show a warning, now again click on Yes. This will start making bootable USB drive for Sierra. This will take approx. 30 mins depending on your OS, after completion of USB drive, you can upgrade your old MacOS to new MacOS Sierra.